Over 25 pc consumers willing to spend from Rs 15,000 to Rs 30,000 and 20 pc wanting to spend Rs30,000 to 1,00,000. 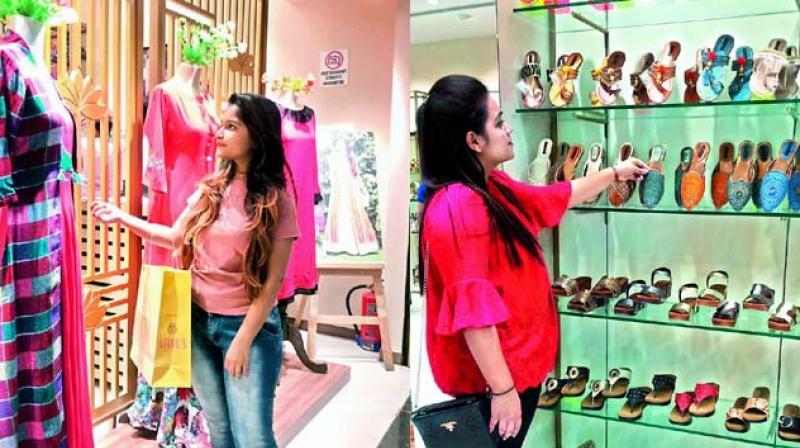 Mumbai: In its 2nd edition, the Festive Shopping Index 2018 co-created by the Retailers Association of India (RAI) and LitmusWorld has been published this week. The survey aims to capture the consumer shopping sentiment this festive season on several aspects influencing the purchase decisions of an Indian consumer. There have been significant changes in consumer sentiments towards shopping during this season compared to last year. "The consumer voice is out. Brands cannot afford to ignore the emotions of their consumers. Customer Experience (CX) is here to stay and will be the not-so-secret weapon for digital transformation" said Ramesh Natarajan, Co-founder/COO, LitmusWorld. There has been a dramatic increase in the percentage of consumers laying more emphasis on Customer Experience (CX) from just 26% last year to 41% this year. This indicates that consumers are becoming more and more expressive about what they want and do not necessarily want to a trade-off between price and experience. Product and Service Experience have become crucial indicators of customer loyalty and will only continue to grow. Similarly, jewellery, that failed to gain significance last year (19%) has experienced a traction and has gone up by 4% to reach 23% this year. Over 25% consumers willing to spend from Rs 15,000 to Rs 30,000 and 20% wanting to spend Rs30,000 to 1,00,000. A significant 11% are willing to spend more than Rs 1 lakh this festive season. Like last year, this year as well clothes (66%) dominated the shopping category. Electronics (45%) and Mobiles (38%) were ranked second and third. With the advent of data penetration, Online (65%) was the most dominated shopping channel for Indian consumers this festive season. Interestingly, there has been a drop in standalone shops and a significant increase in malls (64%) as a preferred channel of shopping. Credit card was the most preferred mode of payment (42%) while debit card came distant second at 26% followed by cash (19%). The most influential advertising media was dominated by ads seen on social media- Online (69%). Ads seen on television came second with a share of 39% followed by Newspaper ads at 35%.